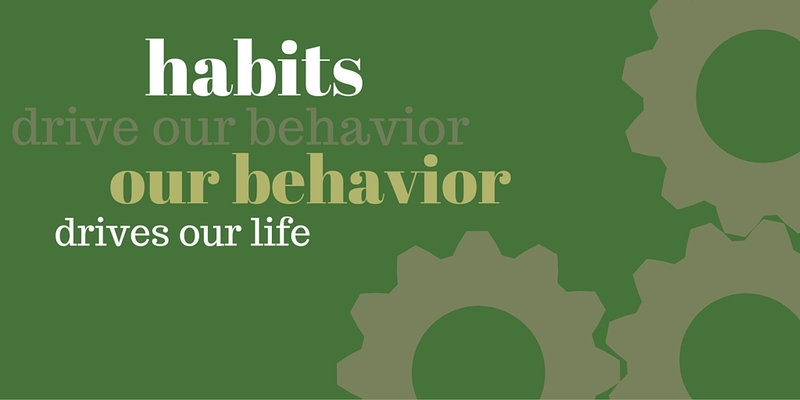 Benjamin Franklin said, "Your net worth to the world is usually determined by what remains after your bad habits are subtracted from your good ones." 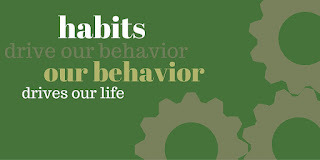 Habits drive our behavior and our behavior drives our life. By creating a series of healthy habits in which to engage every day, you lay the groundwork to become the person you were created to be. 2. Every morning, devote at least fifteen minutes to uninterrupted reading of the Bible. Follow a systematic plan. Don't pause, don't take notes, don't overthink what you are reading. When you are done ask yourself, "So what should I do now?" 3. Every day, sometime during the day, give away a material item. It might be something you already home. It might be something you purchase specifically for someone else. It might be money. 4. Everyday, sometime during the day, ask someone a question about their success. Listen and learn. 5. Apologize at least once. (None of us have perfect days) Be sincere. 6. Thank at least three people. (None of us can do this on our own) Be genuine. 7. Before you go to bed, write a list of at least five ways in which you were blessed during the day. Add to the list three people who enhanced your life during the day. 8. As you fall asleep, envision at least one person into whose life you will make an investment tomorrow.